Microsoft took a hit earlier today when Consumer Reports basically said Surface products are unreliable. Now Microsoft is firing back. While we respect Consumer Reports, we disagree with their findings. Surface has had quite a journey over the last few years, and we’ve learned a lot. In the Surface team we track quality constantly, using metrics that include failure and return rates – both our predicted 1-2-year failure and actual return rates for Surface Pro 4 and Surface Book are significantly lower than 25%. Additionally, we track other indicators of quality such as incidents per unit (IPU), which have improved from generation to generation and are now at record lows of well below 1%. Surface also ranks highly in customer satisfaction. 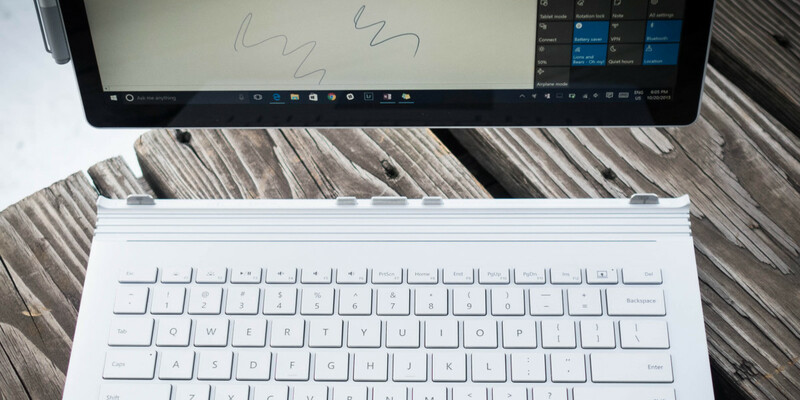 98% of Surface Pro 4 users and Surface Book users say they are satisfied with their device, and our Surface Laptop and new Surface Pro continue to get rave reviews. Anecdotally, I’ve been using Surfaces as my primary computers for years, and have not experienced any major long-term issues. But while Microsoft has a right to defend itself, Consumer Reports is testing against a wide variety of competitors, while Microsoft has an obvious data bias. The company says its return and failure rates are lower than Consumer Reports’ estimated 25 percent, for instance, but won’t say by how much. It’s worth considering that Microsoft is still relatively new to the hardware game, and its unique form factors mean its tackling more complicated engineering problems than most. But ultimately consumer want reliable hardware, and that trust takes years of consistency to build. The best the company can do now is make even better products and try to prove Consumer Reports wrong in the long term. Just ask Tesla.